Angela was born on June 3, 1987 and was brought up and educated in Hamilton. After completing her secondary education at St. John Ogilvie High School in Hamilton, she went on to gain a B.A. Honours in Politics at the University of Stirling. Subsequently, Angela has achieved a Law Degree (LLB) from the University of Glasgow. Angela was first elected to represent Lanark and Hamilton East in the 2015 General Election and is very proud to represent her home constituency in the House of Commons. From an early age Angela has been politically and socially aware and was committed to her various causes long before she was elected to Parliament. She was a Councillor for South Lanarkshire for three years and was made National Convener of Young Scots for Independence in 2014. 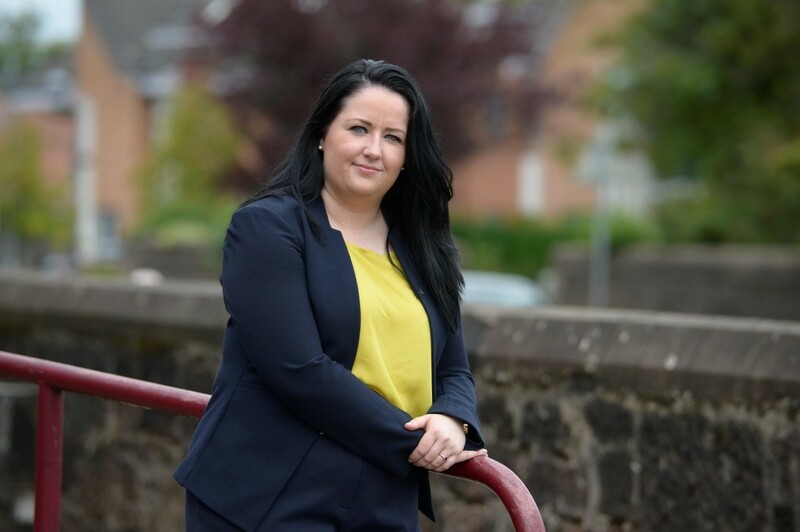 Passionate about social justice, Angela was appointed SNP spokesperson for Equalities, Women and Children, and is a member of the Justice and Home Affairs Team within the SNP Westminster group. She is also a member of the House of Commons Women and Equalities Committee. Angela’s political interests are focused on achieving social justice and equality, including widening the franchise to 16 and 17 year olds, equal marriage, closing the gender pay gap, and 50:50 parliamentary representation for men and women. Angela has spoken widely on mental health issues and is a passionate promoter of LGBT rights, both in the UK and globally.